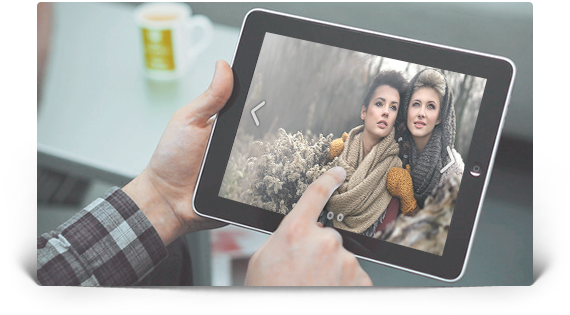 Feature the products in a trendy slideshow and convert your casual visitor into a shopper. 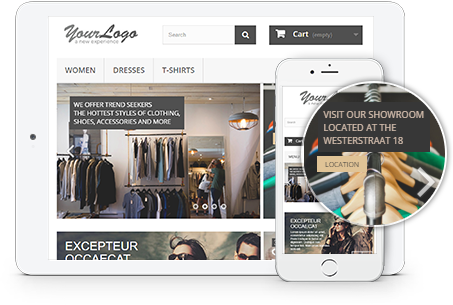 With intelligent PrestaShop slider by MotoPress, building an awesome product slider is a half-automatic process thanks to powerful admin tools. 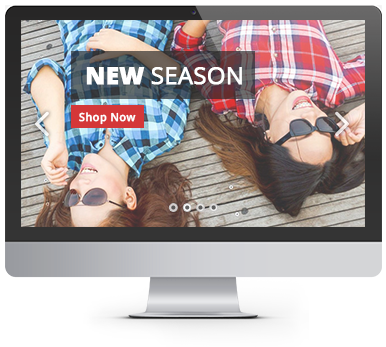 Feature the products in a trendy slideshow and convert your casual visitor into a shopper. 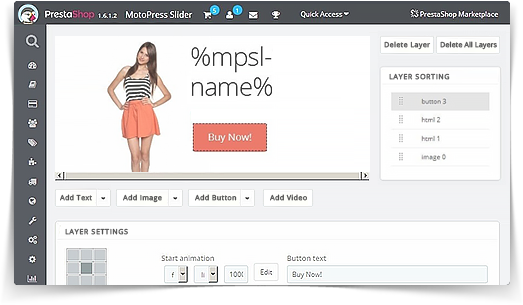 With PrestaShop slider by MotoPress building an awesome product slider is a half-automatic process thanks to powerful admin tools. The slider works perfectly with a mouse cursor clicks and is smoothly manipulated with touchscreens to ensure satisfying user experience across different devices. Your products with all details are easily viewable in high quality. This advantage will help you boost page views of the specific products and significantly increase mobile conversion rates. Backend offers a lot of customization options for non-tech users: duplicating slider ability if you plan to use many different sliders within one store, displaying the products by categories, tags, in-stock products, on-sale items, including/excluding the products by ID, different widget areas to place the slider anywhere on the site with a mouse click, ability to preview the slider right in the admin area and much more. A user-friendly toolkit of this builder will help you customize the overall appearance of the slider content, choose fonts, adjust background, and edit other design elements. Using customizable presets you may save early created and most used styles for further usage. 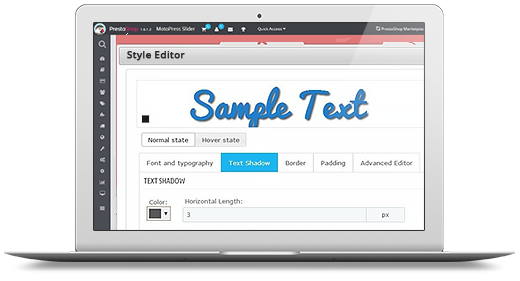 Each style you create or choose from the predefined ones is available in the preview area. They help you build complex layouts with drag-and-drop layers visually. The module offers a full range of layers: text, image, button, video, a list of auto-embedded slider elements like Price, Add to cart button, etc., which are essential for quick purchase. You have no limitations in manipulating these objects trying to set the most optimal layout. Animation is the simplest way to present your highlights in a more dynamic and catchy manner. You have a full freedom to experiment with each type of this feature in real time thanks to Animation Preview option and adjust the slide transitions in a few minutes. 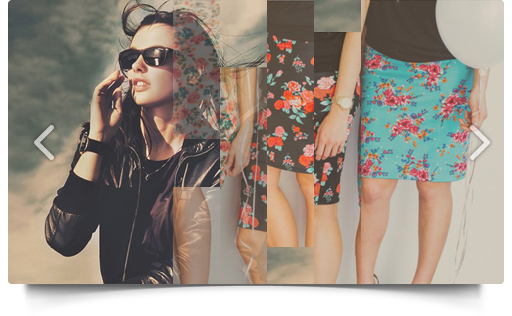 Apply different effects to all layers and create more memorable first impression. Take advantage of the product slider presenting it the in full-width mode with an ability to set custom parameters for the slider height and width. Using this option you can create an outstanding clean-looking landing page with the hot products in the spotlight, show your product images in close-up details winning customer’s interest and trust, and in result boost online sales. It allows the users to swipe the slides on all touch-enabled devices. 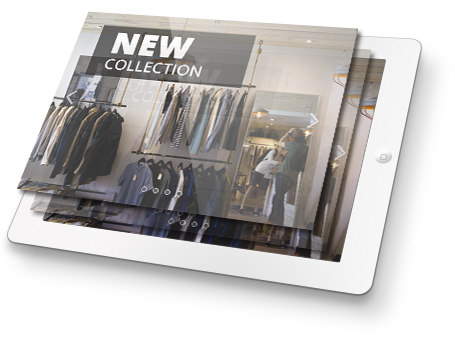 With the growing trend of touchscreens and even bigger one of mobile shopping, the customers will be able to choose the needed products easier and make their purchase faster. This feature will help you not to lose any of your potential customers.